While the Tour is over and many of it’s protagonists take part in a seemingly endless round of criteriums, the racing rolls on. This week I’ve been watching the Tour of Poland generally an opportunity for the young guns to shine, and shine they have. While fellow Brummie and defending champ Garvelo’s Dan Martin put up a spirited defence of his title and won the queen stage, it’s been pretty much one way traffic at the Pete and Marcel show. After putting in a highly determined performance to win two stages and, more importantly, the overall, I’m looking forward to see what Liquigas’s Peter Sagan can do in his first Grand Tour, the Vuelta. 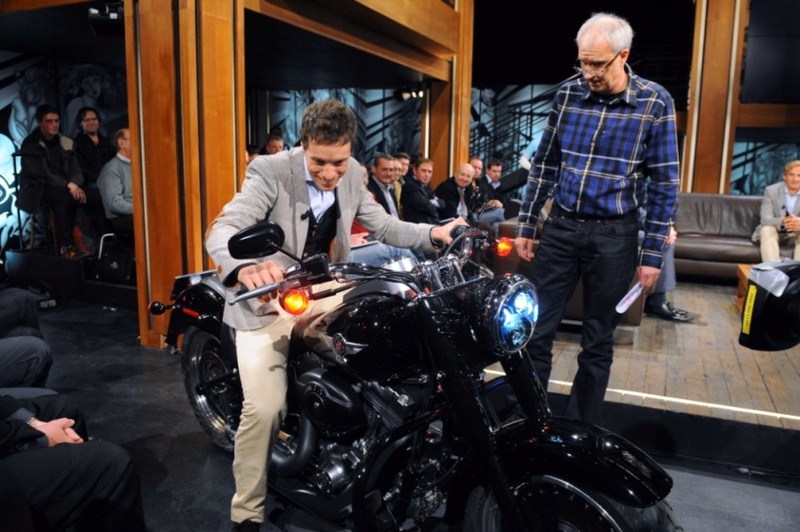 I appreciate he’ll be riding in support of Vicenzo Nibali, but should the Shark falter…….. The other four stages were won in imperious fashion by Skil Shimano’s Marcel Kittel whom I last saw on the podium of the U23 ITT in Melbourne. He has a turn of speed to match Cavendish, but doesn’t seem to require a train, and he left names such as Tom Boonen, Romain Feillu and John Degenkolb trailing in his wake. I’ve also been dipping into the Vuelta a Burgos where riders were fine tuning their performances ahead of the Vuelta which starts on 20 August in Benidorm. The first stage stage was won by defending champ, Euskaltel’s Samu, who won’t be riding the Vuelta, ahead of Katusha’s JRod, who will. JRod also took out the 2nd stage and the overall. Samu was undone (again) by the team time trial and tired legs on the final stage where the boys in orange were attempting to rip the field apart and put time into JRod. Sadly, Samu was unable to keep pace and the stage was won by his rookie team mate Mikel Landa, recording his maiden win. Purito is looking in great shape for the upcoming race which, with plenty of mountain top finishes and few time-trialling kms, clearly favours the climbers but Igor Anton and the orange-clad boys are looking equally strong. Over in the Tour of Denmark, Sky’s Simon Gerrans took his first stage win since the Herald Sun Tour in 2006 and his first win this year thanks to some clever mopping up of intermediate sprint points (and seconds) to remain ahead of Leopard Trek’s Daniele Bennati. Elsewhere, the diminutive Samuel Dumoulin won Paris-Correze. The football season commenced this week end in France and Nice were served up a tough opener, home to Lyon, against whom we’ve enjoyed some great results in recent seasons largely thanks to OL’s Champion’s League commitments. No such worries this time for OL, we lost 3-1 and languish one from the bottom of the league. With such a high turnover of players, it’ll take the team a while to gel but there were some promising signs, though we’re still lacking firepower up front. Finally, work has commenced on OGCN’s new stadium which should be finished in time for the 2013/14 season and where we’ll be hosting some matches in Euro 2016. I’m hoping my beloved boys in claret and blue have a better start to their Premiership campaign this week end. After a few days off the bike last week, I was keen to get back into my training plan. My coach has introduced some new home-trainer based exercises where I have to pedal while holding my breath. Not sure what that’s all about but I’ll get a chance to quiz him when we ride together on Wednesday. It’s only for a short period, but it’s more difficult than you might think. He’s also making me do a series of push ups. Probably trying to firm up the non-areodynamic batwings. He’s also persisting with the swimming to assist my legs to recuperate. But my legs rarely get tired and I never ever, suffer from a build up of lactic acid. My feet, on the other hand, are not faring so well. I spent much time on them while walking around San Sebastián and have been on my feet most of this week preparing for yesterday’s La Ronde and pointage where we usually cater for over 500 cyclists. It was a wash out. The race was cancelled as the course was too dangerous with water lying on the circuit’s corners. Still around 60 people turned up and enjoyed my home baked goodies. Of course, most of the provisions can go back into the club store cupboard to be brought out for the re-scheduled event while I can put my remaining cakes into the freezer, disaster averted. Mindful of the importance of today’s stage, I was up and out at the crack of dawn. It was lovely and quiet, still a little fresh, with only the road cleaners and the odd car heading for the nearest bakery for me to worry about. I sped to Menton, easily my fastest ride there ever. My traffic light karma was in overdrive, I didn’t have to halt once: not even on the Promenade des Anglais. I stopped in Menton to top up my bottles and get a drink to fuel my ascent. There’s a tap as the road splits (left over the Col and right to Ste Agnes), but the water’s of dubious quality. The first kilometre of the climb is steepish but fortified by my recent sugar hit, and taking advantage of every bit of shade, I forge on. Up towards Ste Agnes the terrain undulates . I just grind away enjoying the view back down to the sea. The view improves, the gradient rises steeply and I’m now in the lowest of low gears. I take the left turn. It’s taken me 50 minutes to get here and I’ve emptied my larger bidon. It rises again and I press on. As a distraction, I start giving some thought to today’s stage where, realistically, we might know more about the real, relative forms of the main contenders, or not. The next 5 kilometres pass remarkably quickly and I’m soon speeding downwards. I’ve seen hardly any cars, just a couple of goats. As I swoop through La Turbie, stopping at the fountain to fill up my bottles, I’m making good time. I head up over the Col d’Eze enjoying the warm sunshine, the scenic views and the prospect of a cracking afternoon’s Tour viewing. Riding this route has done wonders for Thor Hushovd’s climbing skills, who knows it might do something similar, albeit on a smaller scale, for me. My traffic light karma begins to desert me on the way back and I take refuge on the cycling track on the Promenade. It’s busy, but not as busy as the road. In no time at all, I’m grinding my way back up to the apartment. It’s taken me an hour less than I estimated but that’s largely due to the time at which I rode rather than any great feat on my part. I shower, slip into something comfortable and sink a couple of litres of water. I’d like to check the ride information on my Garmin but I’m still waiting for a response from them. I’ve been waiting for 6 days! On today’s queen stage, 168.5km from Saint-Gaudens to Plateau de Beille a large group breaks away almost from the start, swiftly joined by another 4 riders, 24 in total. Only 4 teams are not represented: Saxobank, Radioshack, Omega Pharma-Lotto and Saur-Sojasun. There’s plenty of French riders, including 3 from FDJ, but no Jeremy Roy. Is that allowed? Despite having Charteau in the break, Europcar control the peloton until Leopard Trek take over intent on whittling down the numbers and delivering the Schlecks to the base of the final climb. The French are desperate for a stage win and today’s excitement, and ultimate disappointment, were provided by French champion Sylvain Chavanel and, later on, FDJ’s Sandy Casar. 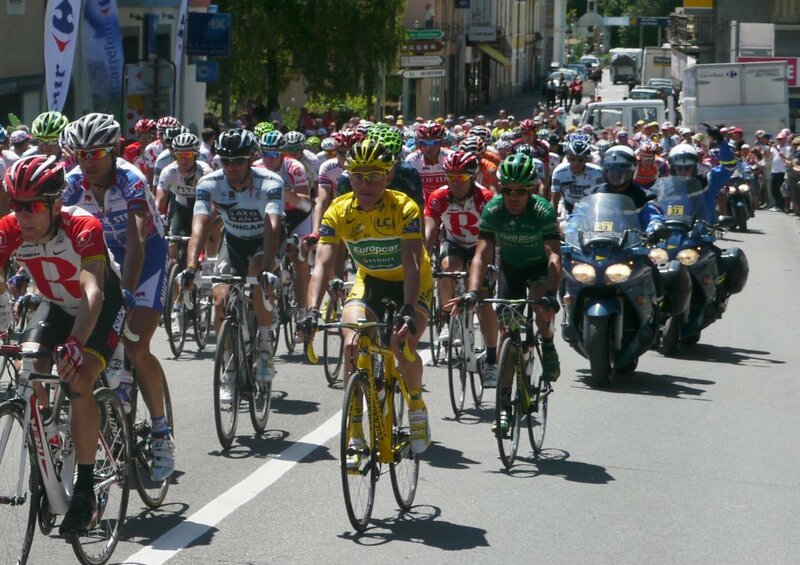 However with Voeckler STILL in yellow, the French are now talking him up as a potential Tour winner. Stranger things have happened. Two jersey’s changed hands: Vanendert now has the spotted jersey and Sky’s Rigoberto Uran is the latest, best young rider. An afternoon lazing on the sofa watching those cute boys in lycra has to be earned. We’ve now reached that time of year when Sunday club rides extend beyond 100kms, so that means a 07:30 start. I left home at 07:10 and reached the rdv point with just enough time to greet the 20-strong crowd before we headed off down the Var valley into a strong headwind. It was a little fresh first thing but I knew it was going to heat up later. Almost immediately the group split into two, with the fast group disappearing off into the wide blue yonder. I stayed with the second group who nonetheless set a steady pace. We were heading for Marie sur Tinee which, as it’s name suggests, is an old walled town along the Tinee valley, which leads up and over the Col de la Bonette. As we headed up the valley proper I waived the boys on and stopped for a comfort break at one of the few cafes en route. Freed from the restrictions of riding in a group, and taking advantage of the uphill gradient, I practiced some intervals as I spun along. Groups from other clubs passed, calling out greetings or clapping me on the back. I prefer to be one of the later arrivals at Marie which one ascends by way of a twisting 2km road which averages 7%. There’s hardly any traffic and if one descends, as I did, when everyone else has gone, you can really give it some gas. The ride back is pretty much downhill all the way back until Plan du Var. I caught up with a group from Nice containing none other than the Mayor with whom I rode until our paths diverged. I picked up the newspapers, headed for home and a soak in my spa bath. I really only get to enjoy this when my beloved is away. He’s in Australia. Lunch was the remains of my dinner with friends the night before then I settled back on the sofa to watch the 23km TTT around Les Essarts. Who can forget 2009’s TTT, particularly the sight of Bbox’s riders scattered all over the ground after a perilous left bend? 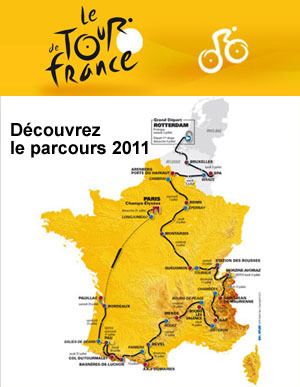 I was sure 2011’s was going to be just as exciting but, unlike L’Equipe, I fancied Garmin for the win. I’d read they’d arrived in the Vendee several days ahead of the other teams to practise the TTT and, as a consequence, had substituted Paris-Roubaix winner Johann van Summeren with Ramunas Navardauskas. It was a gamble that paid off handsomely as, despite their relatively early start, they nailed the event and put Thor in yellow. However, the surprise of the day was BMC. Cadel is on fire. Not only had he scored a few extra seconds in Saturday’s stage but he drove his well-drilled team to finish second thereby gaining more precious seconds on his main rivals. Sky finished third with Geraint Thomas narrowly missing out again on taking the yellow jersey; third time lucky maybe? I had also read that Euskaltel had opted for some TTT practice. Sadly, they still finished last. As a result, Sammy is hosed. He’s 2:36secs off the lead and will have to attack if he’s to claw back time and get back into contention. He also lost time on Saturday when, like Contador, he was held up by Max Iglinsky’s unfortunate clash with a yellow-clad spectator. Yesterday, Alberto Contador’s SaxoBank were first off the ramp and set a not unreasonable time which leaves him 1:42secs off the lead and well behind his main rivals. Both Spanairds will need to remain vigilant, and at the head of the bunch, if they’re to avoid getting caught out by the wind on today’s likely sprint-fest. HTC’s Bernie Eisel, normally Mr Dependable, hit the deck after a touch of wheels on the first corner and irreparably compromised his team’s efforts. HTC will be gunning for a win today but they face stiff opposition from the team with the yellow jersey, Garmin Cervelo who will be brimming with confidence. Who knows we may see the yellow jersey leading out Tyler Farrar for the win. Or, while everyone’s concentrating on those two contenders, someone else could pop out of the bunch and nick it on the line. Having watched and enjoyed the cycling I turned over to catch the tennis only to discover I was too late. Novak Djokovic had beaten Rafael Nadal in four sets. He also takes over Rafa’s world number one ranking today. So that’s the three Spaniards who haven’t fared as well as I had hoped: Alberto, Sammy and Rafa.